Artist Reception: April 7th, 2018, 5:00 – 7:00pm. 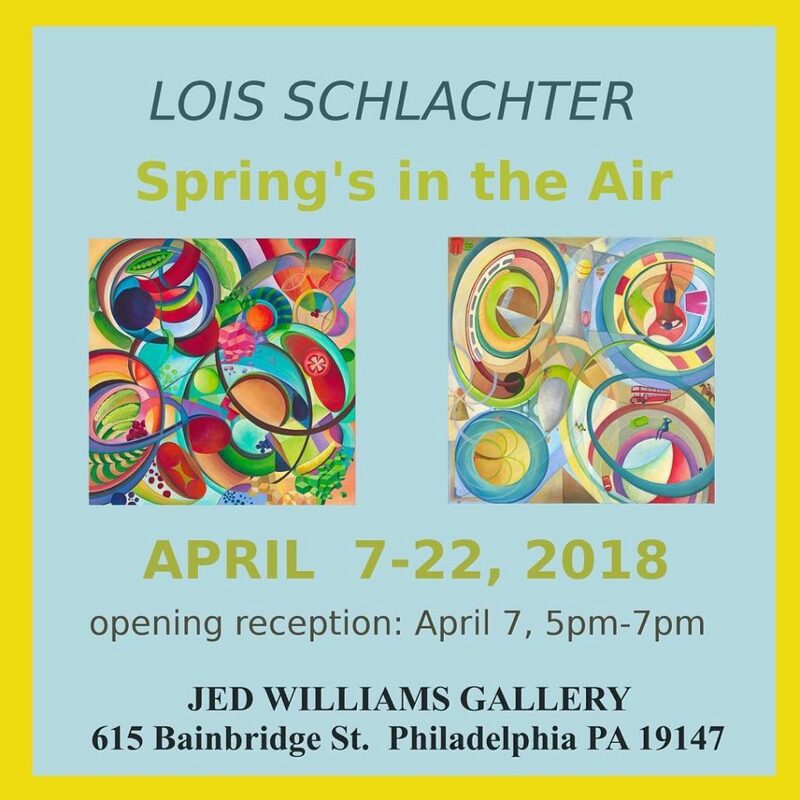 JED WILLIAMS GALLERY is excited to celebrate the coming of Spring with its new exhibit, a solo showcase of painter Lois Schlachter. Let’s bring Spring in, in style! 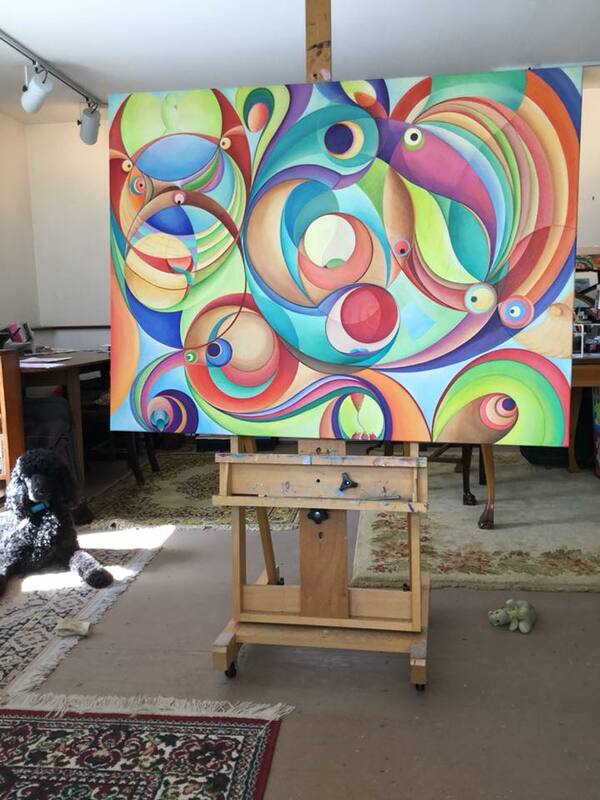 With Lois Schlachter’s exuberant, colorful work dHer unique abstracts have a meticulously composed, “clean” feel to them, which goes hand in hand with a wonderful sense of compositional whimsy and a mellifluous, subtle color schemes. The distinctive geometric shapes set off eternally revolving fractal-like hues. Lois Schlachter is a graduate of The Pennsylvania Academy of Fine Arts and Philadelphia College of Art now the University of the Arts. 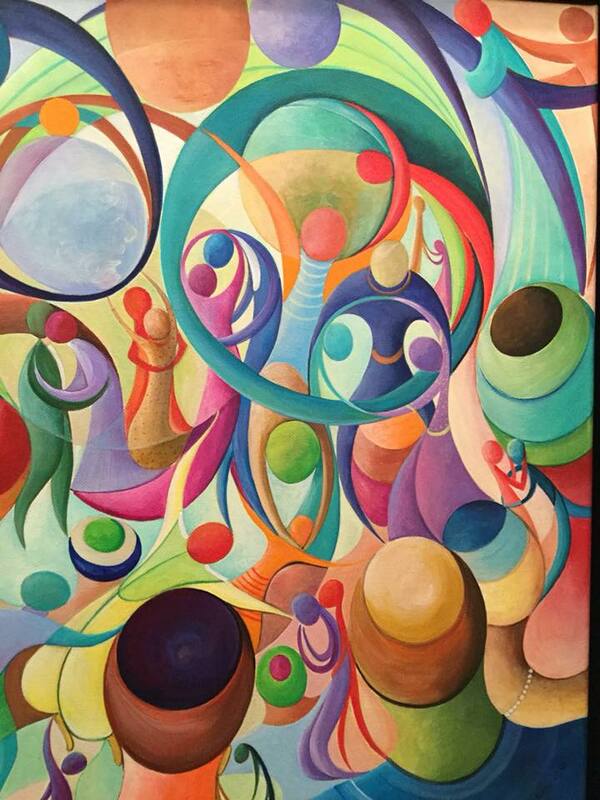 She is a prolific painter working primarily in acrylic and considers herself as an Abstract Expressionist. Previous exhibitions include GoggleWorks’ “Artists Equity” Show (Reading, PA, 2013). 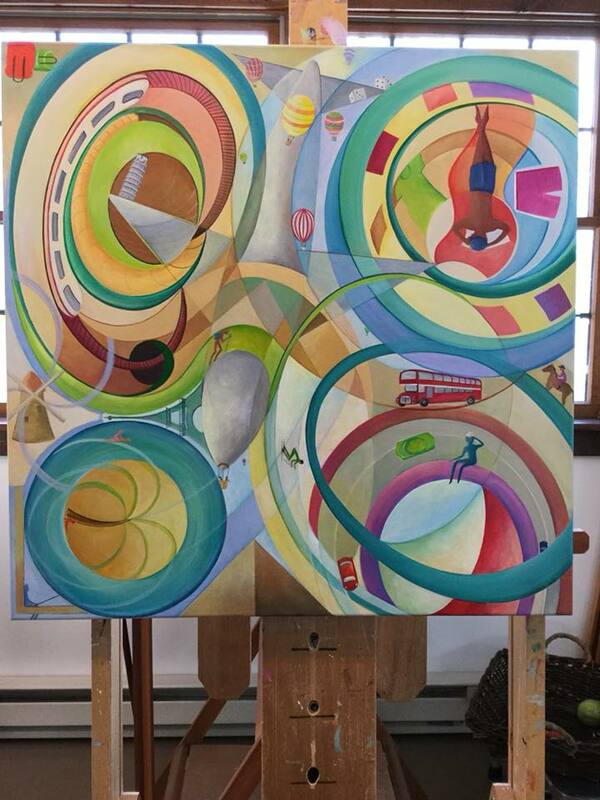 In 2014 she received four Special Recognition Awards in the “16th Annual Contemporary Art Juried Online International Art Exhibition” hosted by Upstream People Gallery. Jed Williams Gallery is a unique art space owned and operated since 2010 by artist Jed Williams. In it Jed Williams showcases up and coming and inspiring artists from the local area including Jed Williams himself, along with providing a look into the workings of an actual artist studio. The gallery shows a variety of thoughtful, cutting edge works in various media with a focus on abstract painting and mixed medium. Jed Williams Gallery also involves the community through art workshops, as well as local music and fashion talents with free music events, parties, trunk shows. Jed Williams Gallery is part of the revitalization of Bainbridge St., just one block south of South St. It aims to contribute to the vitality and unique, fun spirit of Bainbridge St. and the Queen Village/Bella Vista neighborhood. Jed Williams Gallery has shown local talents such as Kevin Broad, Lorraine Glessner, Dennis Flynn, David Stanley Aponte, and more. The gallery has also collaborated with social/art non-profit organizations such as Philly Stewards, InLiquid, Project HOME, and Art Sphere, Inc., other art venues such as the Hex Factory, and curators such as Sean Stoops and Anna Cherniahivsky. Thank you to Lois Schlachter and Jed Williams for the content of this post. DoNArTNeWs celebrating ten years reporting on Philadelphia artists and art. This entry was posted in Abstract Expressionism, Art, Art Galleries, Art in Philadelphia, Art Spaces Philadelphia, Fine Art Philadelphia, Jed Williams Gallery, One-Person Art Show, PA Art, Paintings, Paintings Philadelphia, Philadelphia, Philadelphia Abstract Art, Philadelphia Art, Philadelphia Art Galleries, Philadelphia Art Installations, Philadelphia Art Shows, Philadelphia Artists, Philadelphia Artists, Uncategorized and tagged abstract art, Abstract Expressionist, acrylic paintings, Art, Art Installation, artist, DoNArTNeWs, DoNArTNeWs Philadelphia Art News Blog, Jed Williams Gallery, Lois Schlachter, paintings, Philadelphia Art Gallery, Philadelphia Art News, Philadelphia Art Shows, Philadelphia Artist, Philadelphia Artists, Philadelphia Fine Art, Spring's in the Air on March 27, 2018 by admin1.